The Philippines' leading airline, Cebu Pacific (PSE: CEB), will add a frequency between Manila, Philippines and Doha, Qatar beginning July 9, 2016. CEB is the only Philippine carrier flying non-stop between these two cities. CEB's additional flight between Manila and Doha will operate every Saturday, increasing its services to three times a week. The new flight will depart Manila at 2:45PM, and arrive in Doha at 7:15PM. The return flight will depart Doha at 8:55PM, and arrive in Manila at 11:25AM the next day. CEB also operates Manila-Doha flights every Monday and Thursday, and Doha-Manila flights every Tuesday and Friday. "CEB remains committed to bringing the Philippines closer to the growing Filipino community based in Qatar. We hope that with our additional frequency and lowest year-round fares, they will be encouraged to fly back home and reunite with their families and friends more often. Travelers from Qatar who wish to visit the Philippines' many exquisite island destinations may also take advantage of CEB's convenient, same terminal connection via Manila," says Alex Reyes, CEB General Manager for Long Haul Division. "In the same way, we also look forward to enabling more Filipinos to visit Doha, gateway to the Gulf countries in the Middle East. Travelers from the Philippines may book more affordable, direct flights to Doha via CEB, to explore the country's metropolitan museums, visit its sprawling architectural wonders, and take part in its rich Islamic culture," adds Reyes. The additional flight will be utilizing CEB's wide-bodied Airbus A330 aircraft, with a configuration of 436 all-economy class seats. Hot meals, seats with extra legroom, and onboard Wi-Fi, among others, are options that can be added to the fare. Qatar has the third-largest Filipino community in the Middle East. CEB already serves the other markets for Global Filipinos: United Arab Emirates via direct flights to Dubai, and the Kingdom of Saudi Arabia via Riyadh. CEB is also the only Philippine carrier flying direct between Manila and Kuwait. 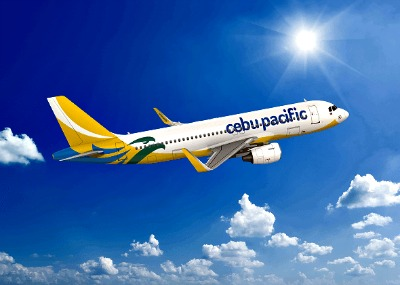 CEB's 57-strong fleet is comprised of 7 Airbus A319, 36 Airbus A320, 6 Airbus A330, and 8 ATR 72-500 aircraft. It is one of the most modern aircraft fleets in the world. Between 2016 and 2021, CEB expects delivery of two more brand-new Airbus A320, 30 Airbus A321neo, and 16 ATR 72-600 aircraft. The airline offers flights to a network of more than 90 routes on 64 destinations, spanning Asia, Australia, the Middle East, and USA.